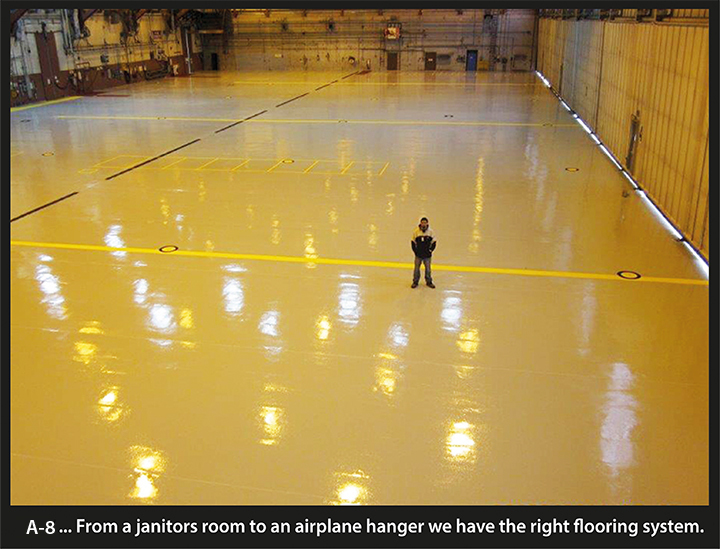 High Build Resinous Floor coatings can be installed in flake, solid colors, or quartz, and have been the industry standard for decades for commercial kitchens and hospitals due to their non-slip, durable, chemical resistant, and hygienic properties. These coatings can be coved up the perimeter wall to create a "bathtub" effect in wet areas, making it easy to maintain and clean due to eliminating the usual 90-degree angle where floor meets wall. Due to their high build nature, these coating provide an excellent option for durability and longevity for normal to heavy use floors. 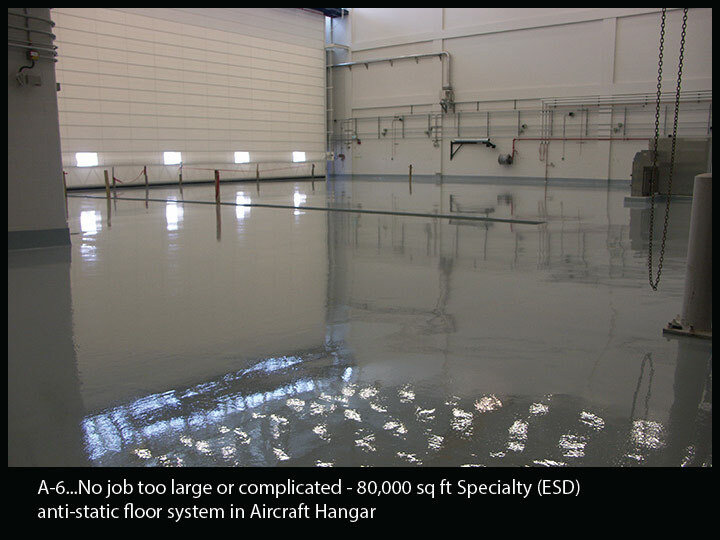 This heavy commercial grade system provides superior resistance to thermal shock, chemicals, impacts, and abrasion, in comparison to standard epoxy floors. Cementitious Urethane systems are designed for heavy industrial and commercial use and offer optional slip resistance. Due to their high build nature, these coating provide a superior option for durability and longevity in extreme use floors. This system is recommended for breweries, commercial kitchens, and heavy use commercial/industrial jobs. Polyaspartic resins offer many benefits over traditional resins: higher abrasion resistance, UV stable, chemical resistance, and higher overall performance. 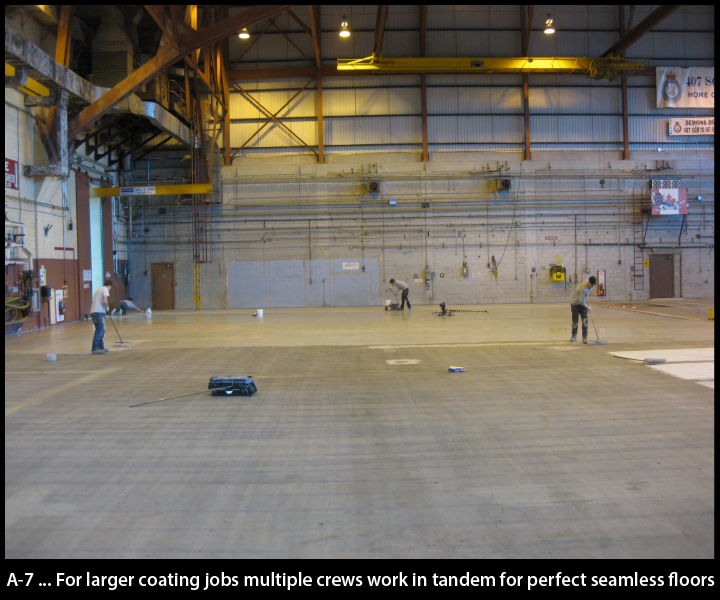 When coating concrete, polyaspartics can be installed in both clear as a topcoat and/or pigmented form. 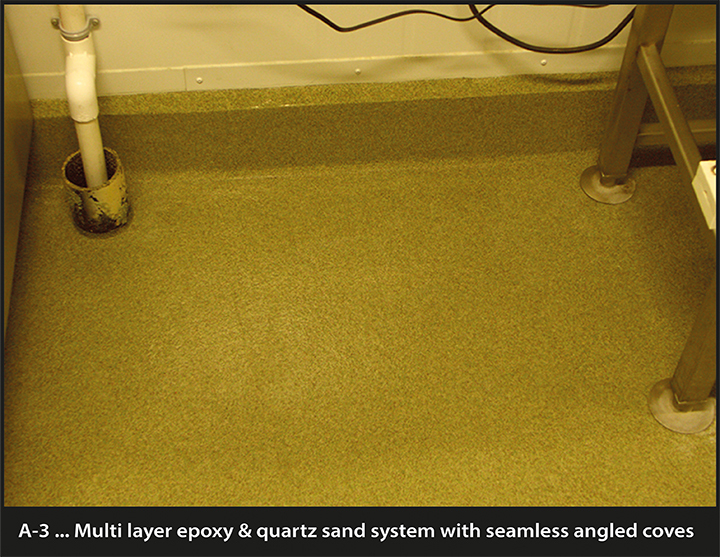 Additionally, broadcast media such as quartz or vinyl paint chips, can be incorporated for a more decorative, durable floor system. 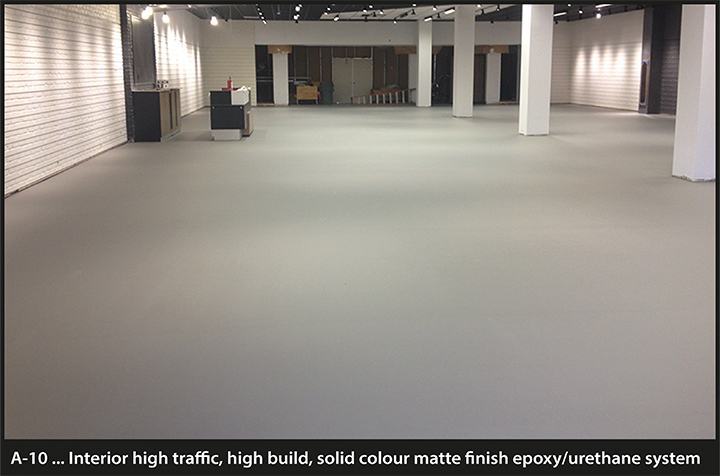 Polyaspartics can be used indoors or for exterior work, or when quick turnaround is needed, it can be used to topcoat epoxy floor systems. A Polyurethane topcoat resin offers excellent chemical resistance, UV stability and superior impact and abrasion resistance. Polyurethanes are used on exterior applications, or when a higher durability than a standard system can provide is required. Due to the strong solvent odour, while in its resinous form, this topcoat can only be used where odour during application and curing is not a constraint. Our various epoxy and urethanes are offered in seamless options, providing an easier to clean, hygienic, waterproof product. This is only an option if no control joints are present. Note: the coving up the wall creates the “bathtub effect” for ease of cleaning and superior hygiene. This is available for all systems and versions offered. Anti static, conductive, ESD, acid resistant options are available as well. Please enquire to get more detailed information.